With Monte Circle Building A – a contemporary interpretation of the traditional Montecasino style – completed in 2015, Monte Circle Building B is soon to be added to the Montecasino (Fourways, Johannesburg) precinct, with the project receiving in June 2015 a 4-star Green Star SA Office v1 Design certification from the Green Building Council SA (GBCSA). 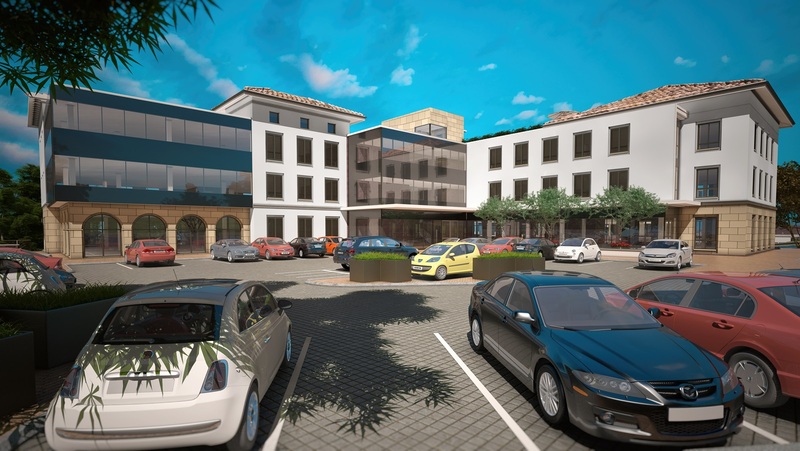 Monte Circle is an exciting new commercial office park development situated in Fourways, Johannesburg. The project forms part of the larger Montecasino precinct along Montecasino Boulevard from William Nicol through Witkoppen Road. Building B is the second of 10 office buildings which will create a high street urban edge along a central internal road. Building A was completed in November 2015. 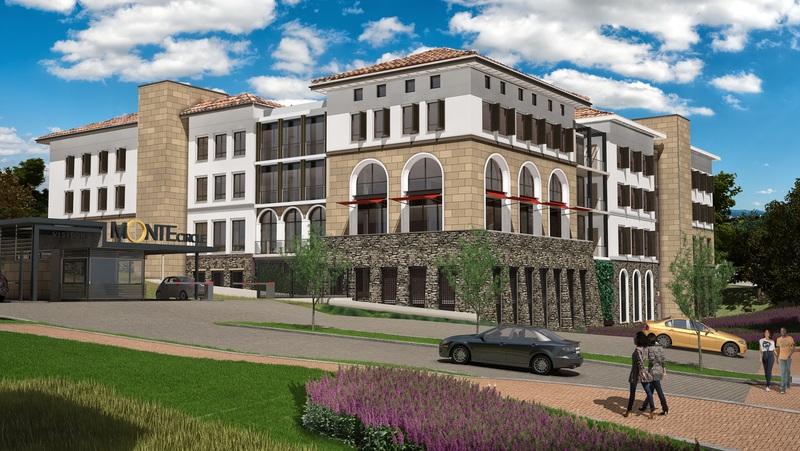 The architecture is a contemporary interpretation of the more traditional architecture of Montecasino, where the architects have reinterpreted the details and applied them in a contemporary manner to the new building. External shading is provided to the eastern, western and northern facades, using adjustable sliding louvres for windows, leading to improved thermal comfort while also allowing for good levels of daylight and external views. The building floor plan provides high levels of daylight and views of the environment to occupants. Energy and water sub-metering have been employed, enabling effective building management and the realisation of sustainablity initiatives. Floors: Three storeys of lettable office space on two basements.